Does BufferedReader act like a buffer ? Any good idea for my MS graduation project? How to get a net device's MAC Address? Establish PPP connection to server socket over modem? noproxy.com and how it works?? write a servlet connect to a address automatically? How to call a service in NT using the java? How to make this Server? 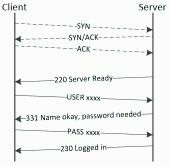 How to check which server is online?